You may have noticed my posting has been a bit sporadic lately. Well, for my birthday, Dan took me on a winery trip up through Michigan and we spent a lovely weekend in Saugatuck. Last week was kind of crazy catching up, but now I’m back up to speed and back on track. While in Michigan, we spent a quality 3.75 hours at the Blue Star Antique Pavilion, near the B&B where we stayed. I didn’t take any photos inside the store, but I was amazed at the rows and rows of booths with antiques. We saw everything from old maps to cast iron boiling pots to wedding dresses to Pyrex mixing bowls from the 1960s. I was surprised at how interested I was in looking through every last nook and cranny of the store. What surprised me even more was how much Dan was into it too. I think it was the WWII advertisements that did it. (1) A map of Chicago. 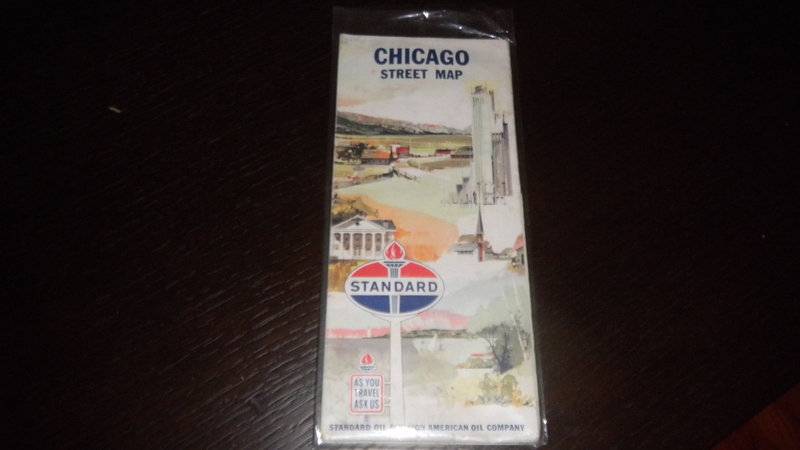 Not sure of the year, but it was made by Standard Oil Company (now Amoco). I’m thinking of making the map into wall art, but I’m not sure of the details yet. 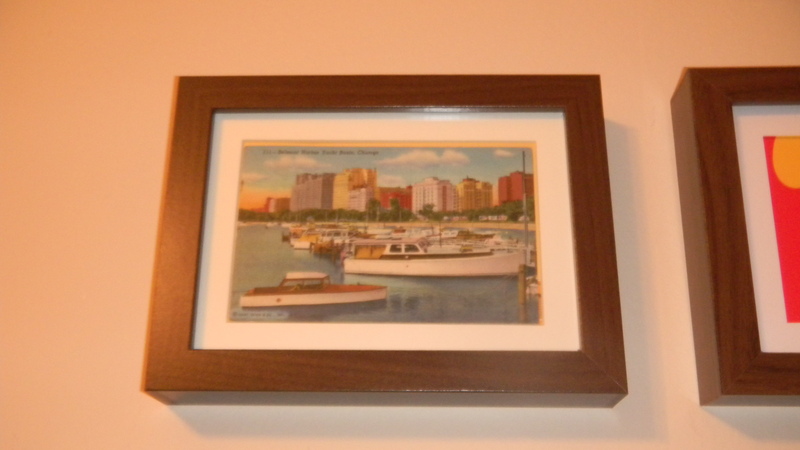 (2) A postcard sent in 1957 with an image of Belmont Harbor. It’s a special place for us, since that’s where we got engaged. I added it to our office frame gallery. 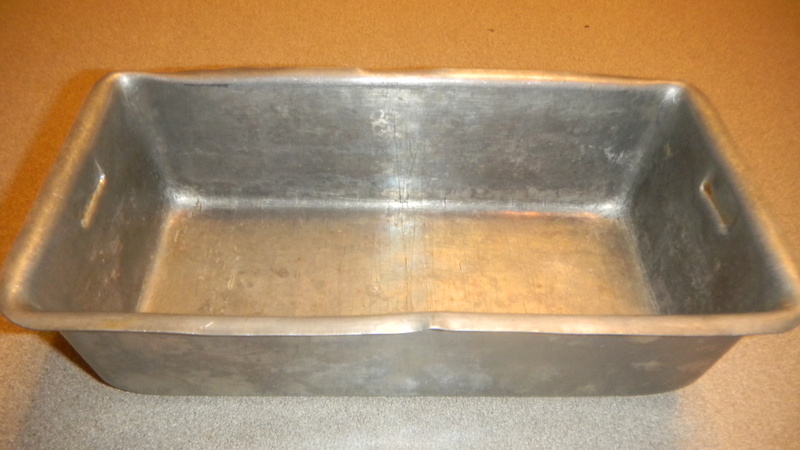 (3) A well-used mini loaf pan. I love how you can see all the scratches in the metal where slices of bread were cut out and eaten. I won’t be using this as a loaf pan though. Instead, I have it earmarked for a fun DIY project. Stay tuned for more. 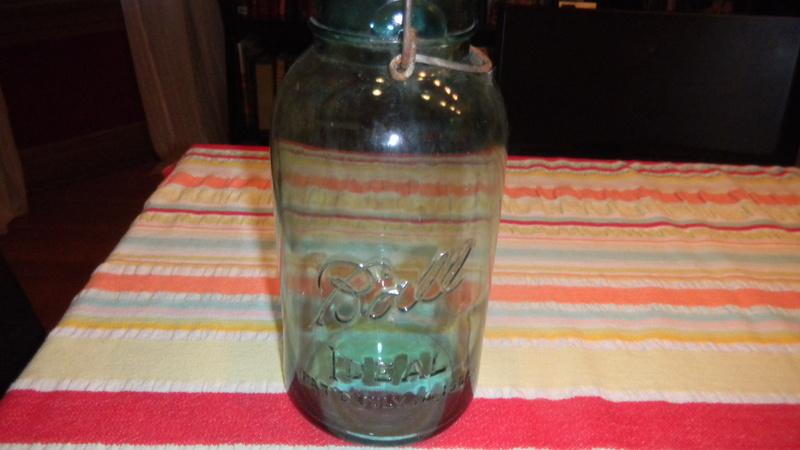 (4) A large blue-tinted Ball mason jar. It has the flip top, which I thought was way cooler than the standard lid. I’ll use this as a rustic vase. 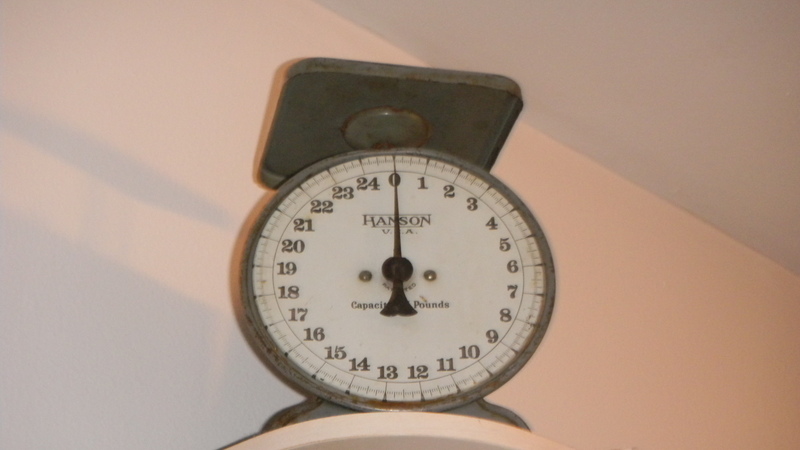 (5) A kitchen scale – my favorite find. It sticks and probably doesn’t weigh things properly anymore, but I fell in love with it the second I saw it. I want to eventually have a big open, kinda rustic, kinda antique looking kitchen. This will be front and center. For now, it hangs out on our kitchen shelves, near the chalkboard jars. Grand total spent on all items: about $30. Can’t wait to get crafting with my new (old) items!